ICE Totally Gaming (ICE) is an annual three-day event in London, England that typically takes place every February. ICE is a massive conference focused on the international gaming industry. Every sector of the gaming industry is represented at ICE, including casino, betting, lottery, bingo, sports betting, online, mobile, social and street gaming. The event, which is open only to B2B (business-to-business) trade professionals, also represents well over 100 countries and provides attendees with an abundant and wide range of products and content. ICE Totally Gaming is a hub for gaming innovation. Each year, hundreds of new products are launched over the course of the event’s three days. In addition to product launches, many gaming experts, including leading strategic thinkers, regulators and entrepreneurs, speak at the diverse ICE Conferences. These experts provide attendees with business solutions for their key challenges, as well as a route map on where gaming is headed in the future. ICE has been designed as a unique place where all major gaming operators, regulators and more can gather. It provides international access by representing hundreds of countries every year and enables its attendees to build their contacts, setup meetings and build partnerships with the utmost convenience. The show-floor seminars at ICE are free to attend and cover a broad range of hot topics. They provide the latest industry information and also include engaging debates that revolve around what is relevant and important in the gaming industry. 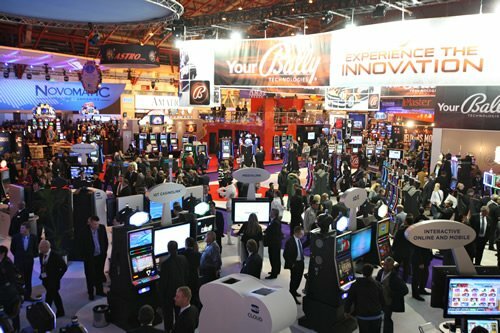 After several years of hosting conferences and growing its reputation, ICE Totally Gaming is widely recognized as the largest and most international and comprehensive trade event in gaming, anywhere. It is the only b2b gaming event bringing together both the offline and online gaming sectors. Offering an amazing global perspective on all forms of gaming, ICE is definitely one of the best parts of the gaming industry’s calendar and shouldn’t be missed.